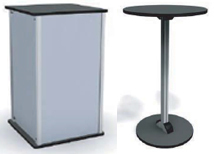 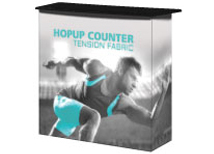 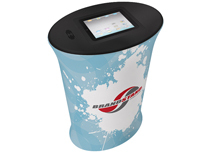 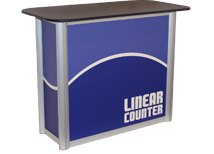 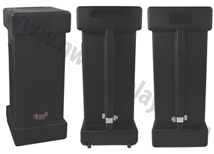 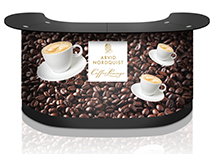 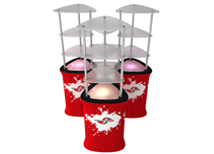 We offer a wide variety of counters to work in any trade show application. 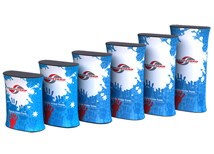 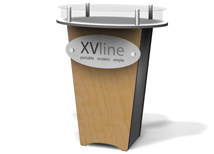 Our Waveline counters are a great solution for exhibitors on a budget. 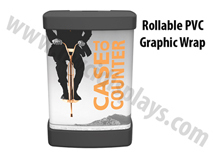 We offer US Made counters that are very stable and will support more weight. 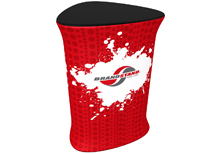 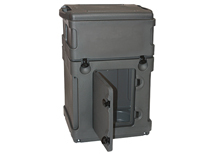 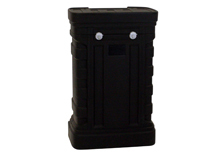 There are also multiple shipping cases that convert to podiums so not only do you get a counter but you can also ship trade show items in the case! 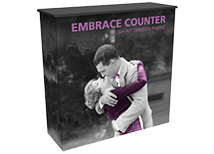 The majority of our counters are produced in 3-5 business days so we can meet any show date! 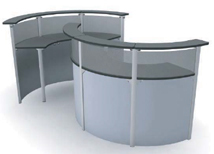 We have the ability to customize counters to any size or specification upon request.